A lovely dry day today, but a nasty cold easterly breeze… Although not strong enough💪 to hamper the pole fishing today🎣.! Some cracking nets of silvers were recorded today… Lots of quality roach, some nice big ide and bream, a few chub and the odd carp even made an appearance.! 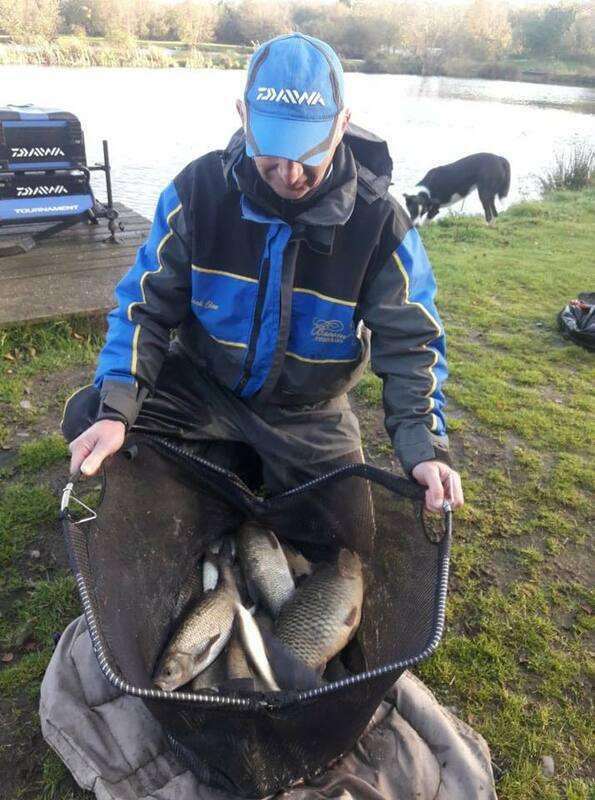 Section 1 was won by Ian Whitson on peg 20, with a nice mixed net of silvers… Big ide were the main species, but a few chub, the odd skimmer and some roach all added up to give him a weight of 33lbs 4oz… Which also won the lake today. All caught on maggot/pole at 13m, with the last two hours being the more productive. 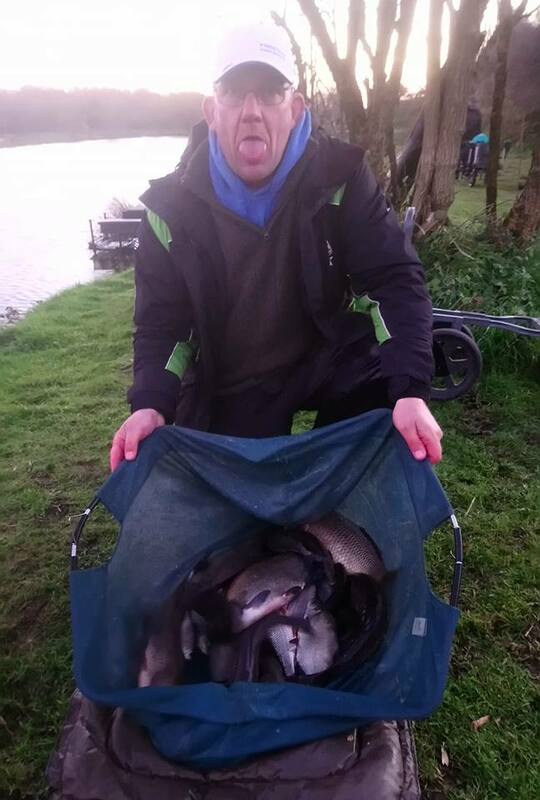 Runner-up was Michael Harkness who caught four small carp on the feeder for 12lbs, losing two more also. David Mcgregor was a very close 3rd with 11lbs 12oz of roach, caught on maggot/pole. Section 2 was a very close one with only 8oz separating the top 3..! Don Lines won the section with 24lbs 8oz, mainly Bream caught on maggot/pole at 8m… With a bonus carp thrown in for good measure. 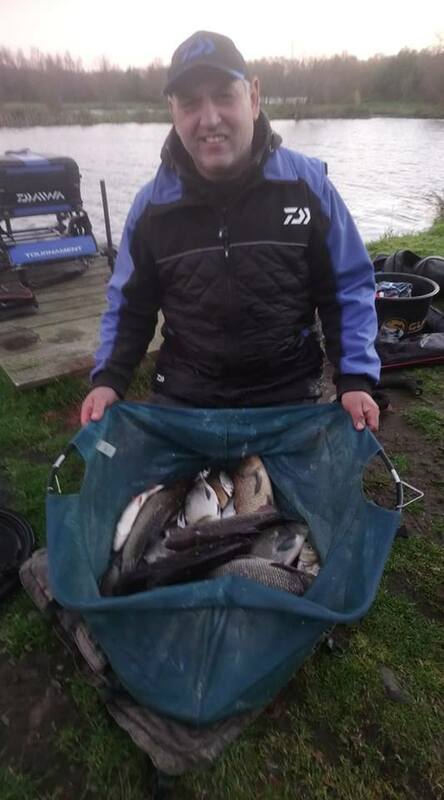 Mark Acton was only a mere 4oz behind to finish runner-up with 24lb 4oz, again bream caught on maggot/pole. 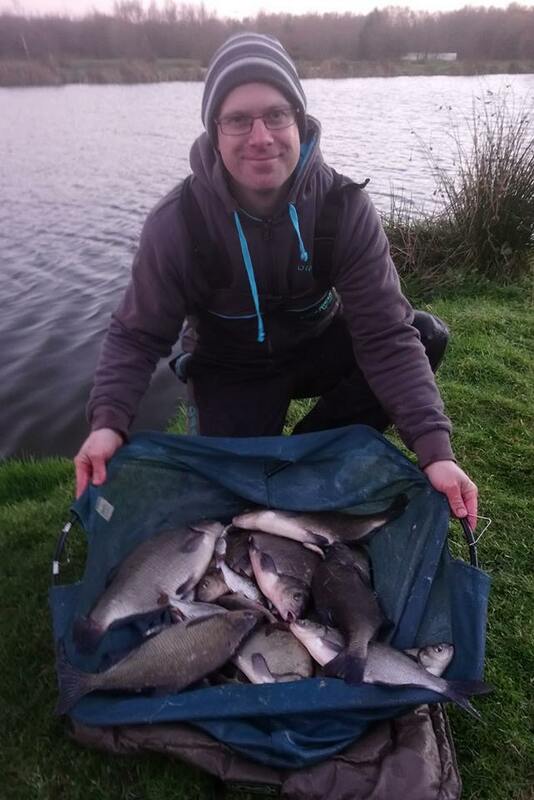 Steve Royle was 3rd with 24lbs dead… Again mainly bream with a few roach. Barry Young managed 20lbs 4oz, a nice net of nearly all roach for 4th place in what turned out to be a very tight section. Very tight throughout the lake today which made for a good close match for all involved, those bigger bonus fish making the difference… Well done guys.! !